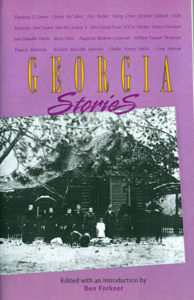 Georgia Stories – Peachtree Publishing Company Inc. Whereas the majority of nineteenth-centry novels have faded into oblivion, the Georgia short story has thrived. In the work of Joel Chandler Harris and Augustus Baldwin Longstreet, the lives of the middle and lower classes, black and white, are presented with realism, humor, and healthy self-mockery that have reverberated through both the nineteenth and twentieth centuries, influencing the fiction of Flannery O’Connor and Erskine Caldwell, Carson McCullers and Alice Walker. Wealth and poverty, humor and tragedy, the Old South and the New—although we may still not understand what makes up the Southern identity, surely inGeorgia Stories, we recognize its distinctive presence.